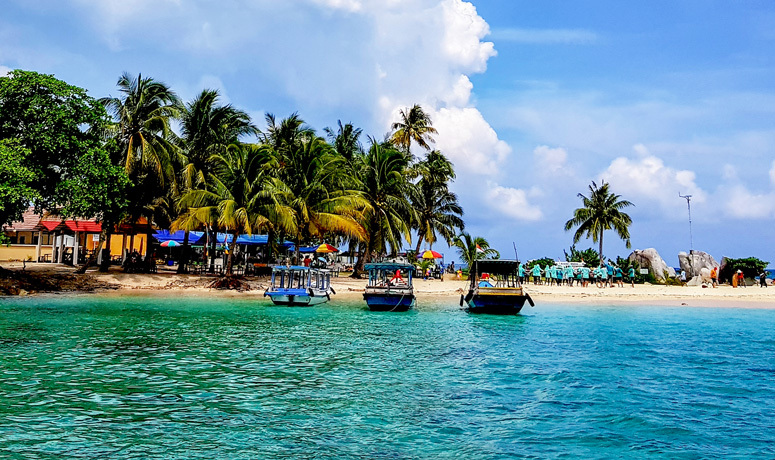 Belitung Island is where the sky and the sea converge to create a tranquil retreat. 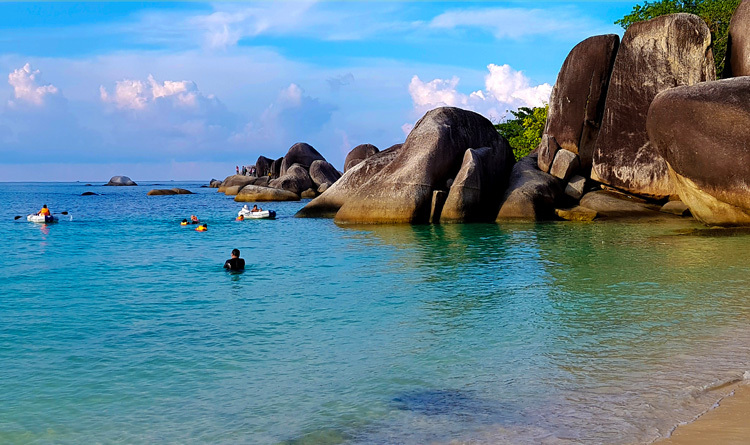 A patch of serenity halfway of Singapore and Jakarta, Belitung Island has all the makings of an exceptional getaway minus the swarming crowds and stiff accommodation costs. 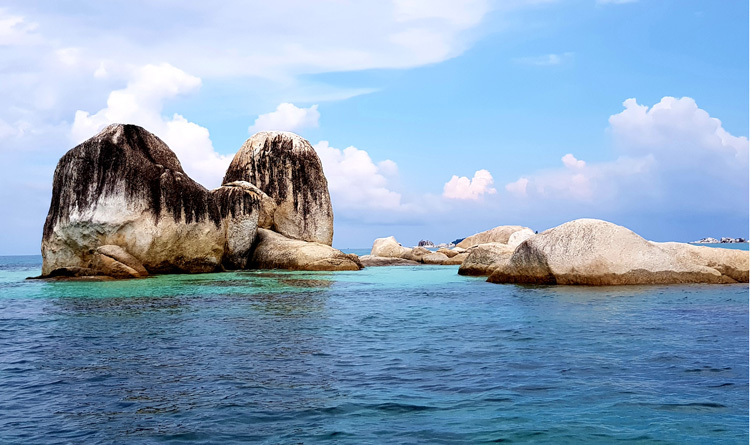 The best part: Belitung is accessible with an hour-and-a-half direct flight from Singapore to Tanjung Pandan, Belitung’s main town, via Garuda Indonesia. Alternatively, there’s also a direct flight from Jakarta to Belitung, so travellers can choose from both options. Take a deep breath and let Belitung’s beauty take you away from the mundanity of the metropolis. It’s the quick destination you soon won’t forget. From the clearest cerulean to a surprising turquoise, the waters surrounding Belitung are up there with the best in the world. Marine creatures and coral formations are visible to as low 15 to 20 feet down under when viewed from a boat. The captivating seascape doesn’t end there. Shorelines made of soft white sand require no flip-flops, so you can frolic barefoot under the sun and let the serene waves gently touch your toes. Pulau Lengkuas, known for its iconic lighthouse, became a guiding point for ships during the Dutch occupation in the 1800s. While no longer in use, the 50-meter lighthouse is a spot where tourists can climb to the top for a stunning 360-degree view of the island. Moreover, there are shallow portions of the island down below, perfect for dipping or snorkeling. It won’t take long until colourful fish and corals appear. Amid gigantic rock formations, the calm waters of Tanjung Tinggi draw in many of its visitors to relax and unwind. The arching stretch of white sand lends an impressive prelude fronting the boulders. After sunbathing or playing on the shores, you can traverse through the massive rocks and reach the top for a gorgeous view of the entire cape. Better yet, you can make another splash on the crystal clear sea on inflatable rafts. 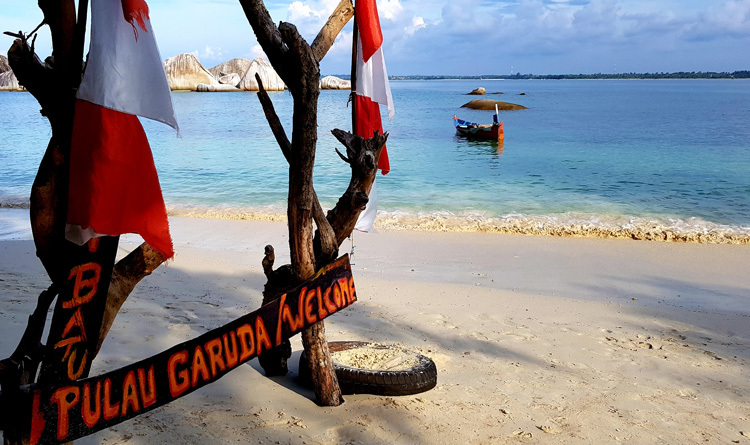 Pulau Batu Garuda has caught the fascination of many because of its gigantic stone figure resembling Garuda, the mythical bird-like creature in Buddhism. Aside from that, The topographical features of the island itself are nothing short of thrilling. From the laid-back beachfront, a path through lush trees and rock formations leads to a cave. Upon reaching the cave, a catch basin will surely attract you for a quick dip. 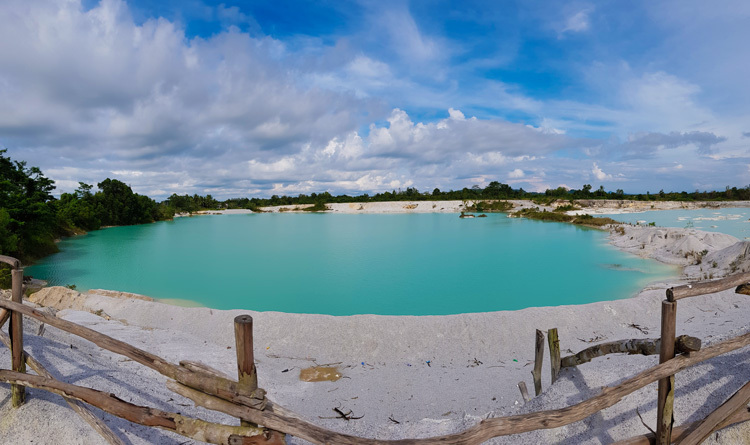 The mining site for the clay mineral kaolin has formed the unusual attraction known as Kaolin Lake. This man-made lake is a deposit of water mixed with various natural elements. Locals say that the lake has a more radiant blue colour back then as compared to its greenish color now. The mining has previously seized; but once again in operation. Tourists can only take photos from a certain area. If you need one more compelling reason to see Belitung in your next trip, then has to be the underwater experience. We have seen the island’s marine paradise up close and our footage below barely scratches the surface. It’s a total haven for those who want to snorkel or dive down deep the island’s majestic seas. The Travel Guide team would like to thank the Indonesia Ministry of Tourism for making this trip possible. To find more island destinations all across Indonesia, visit Wondeful Indonesia’s official website.